Atmaram Nadkarni said Goa has no problem in providing 0.1 TMC of water to Karnataka, as recorded before the tribunal. PANAJI: Days after Goa Chief Minister Manohar Parrikar softened his stand on Mahadayi water dispute, senior counsel Atmaram Nadkarni has said that giving water to Karnataka for its drinking needs was never an issue, but the proposed construction of dams by the latter to divert water was the bone of contention. Nadkarni, who is defending Goa before Mahadayi Water Dispute Tribunal, said the state has no problem in providing 0.1 TMC of water to Karnataka, as recorded before the tribunal. Recently, Following a meeting with Karnataka BJP leaders recently, Parrikar had softened his stand over the water dispute stating that Goa was ready to give "reasonable and justified" amount of the Mahadayi water to the neighbouring state for its drinking needs. In a letter written to Karnataka BJP chief B S Yeddyurappa, Parrikar had said that Goa will not oppose giving water to Karnataka for its drinking needs. "Sharing of drinking water has never been bone of contention within the basin," Nadkarni said last night. The main contention between both the states is the fight over the eight dams proposed to be constructed by Karnataka upstream, he said. "The main contention is total eight dams and trans basin diversion of water which is proposed by Karnataka on this river. If they construct those eight dams, not a drop of water will percolate down to the riparian state of Goa," Nadkarni, a former Advocate General of Goa, said. 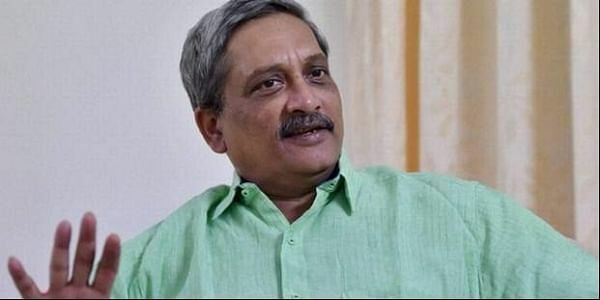 "In the letter, Parrikar said that it (the letter) is without prejudice to the rights and contentions of Goa's case before tribunal," he said. Nadkarni said that the state government is open for discussion on providing 0.1 TMC drinking water to Karnataka. "Karnataka has got around 22 rivers in the Belgavi district. They are water-sufficient so far as that basin is concerned. The drinking water requirement is 0.1 TMC, which is recorded before tribunal. We have no problem in giving 0.1 TMC of water," he said. Nadkarni said, "There is nothing wrong in the letter or having talks with Karnataka."